Remotr - Next generation of adventure games? First we got awesome remastered version of Day of the Tentacle and now we’re about to get yet another treat. The formula of first person exploration/puzzle solving games is perfect for mobile devices (just look at brilliant The Room series) - and with Remotr you can enjoy the beauty of full–fledged PC adventure games on your Android or iOS phone. In this day and age a successful kickstarter campaign can bring back about every old-favorite genre you can think of. We saw some spectacular failures, sure, but as for Obduction the chances for success are pretty high. It was dubbed “Myst in space” since its first trailers - and Cyan itself is calling it “spiritual successor to Myst and Riven” - so we can expect the worlds full of levers to pull, buttons to press and cranks to turn. 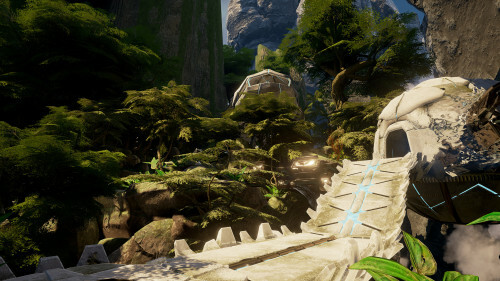 Obduction on Android is something you have to try - so go grab your Remotr App and let the stream take you to uncharted, alien worlds of Cyan’s newest game.